Meals are a special time of day at my house. With a 3 year old and an 18 month old I never know what they will eat. It changes from day to day. The one thing I can almost guarantee the two of them will sit and eat is a pancake. A few months ago I realized we were out of Bisquick but I really wanted a stress free meal. I figured it could not be that hard for me to just make it from scratch. After some trial and error I have come up with a recipe that gets equal praise from my husband and kids! Mix together the milk and vinegar/lemon juice and set aside while you combine all the dry ingredients. I usually add the vanilla extract directly to the milk and beat the egg with it all. (Saves time and dishes!) Melt the butter and combine all wet ingrediants to the dry. 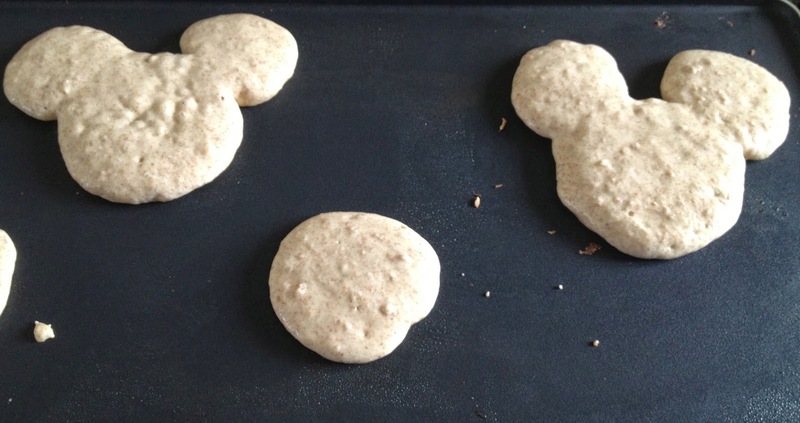 Mix together and start cooking up some pancakes! Sometimes I will add diced apples or even mashed sweet potato to get some extra nutrients into the boys. 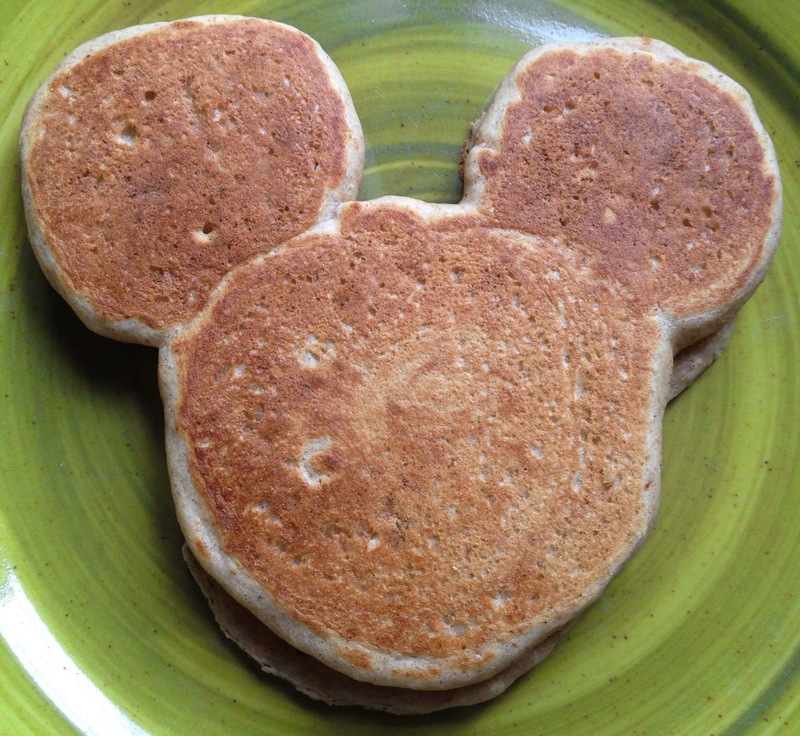 My 3 year old will only eat Mickey Mouse pancakes! Who doesn't love breakfast for dinner!!! !